Liz Marek returns to teach her award-winning giant sculpted crab cake tutorial. This gravity-defying piece stands over a beach and showcases realistic textures and details. Learn how to create a jaw-dropping piece from start to finish. Please note: the final competition piece had a cake topper figurine that is not featured in this tutorial. 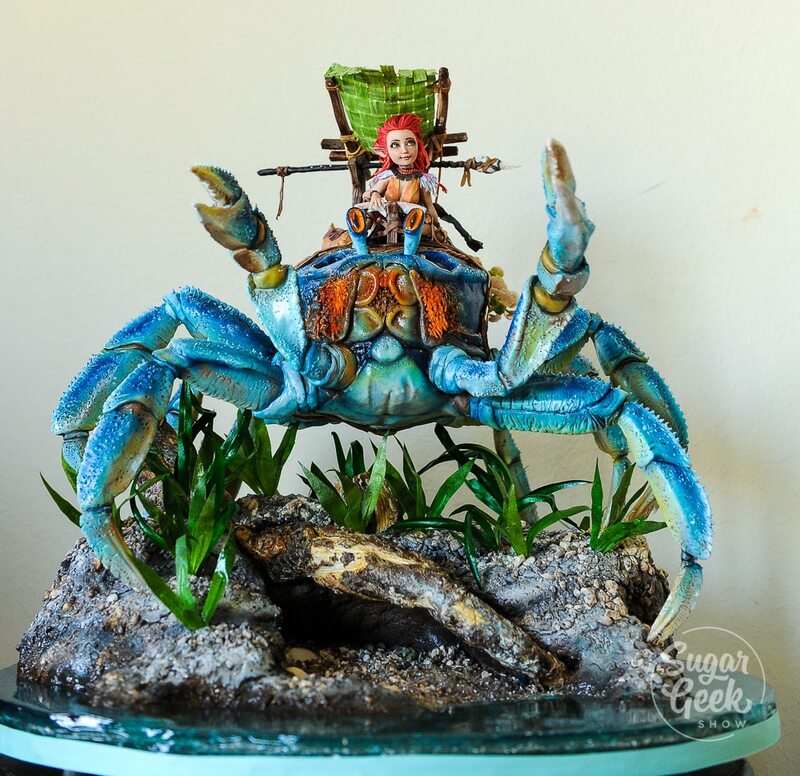 This sculpted crab cake tutorial is an award-winning cake design. It was entered into the sculpted cake category at SoFlo cake and candy expo and won first place. The sculpted crab cake also won Liz a chance to compete in the FIPGC competition later this year in Atlanta. If Liz qualifies, she’ll be traveling to Italy to represent the USA in the world pastry championships. Liz teaches us how she created her amazing structure for this sculpted crab cake. You might not be able to tell but the crabs legs are only attached to the cake in two spots. Each leg was individually sculpted and detailed for a super realistic look. The land the sculpted crab cake is sitting on is all made of cake as well and textured to look like super realistic rocks. Some of the techniques Liz covers in this tutorial is creating realistic rock textures, wood textures, realistic sand, isomalt water effects and of course the crab.